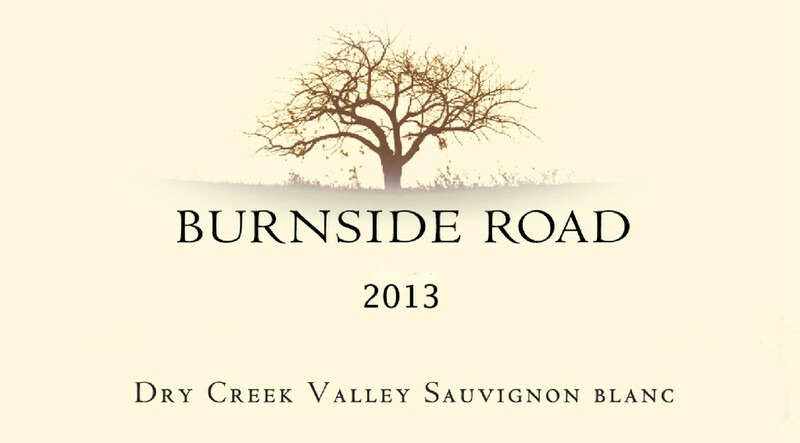 Fruit for our 2013 Burnside Road Sauvignon Blanc is sourced from a single vineyard located in the northern part of Dry Creek Valley. The grapes were gently whole cluster pressed, settled overnight and fermented cold for the next three weeks. The wine was then gently racked off the heavy lees and aged in stainless steel tanks for the next 5 months. Our 2013 Dry Creek Valley Sauvignon Blanc boasts of fresh melon and kiwi fruit with a hint of grassiness. This wine is refreshing, clean and crisp. It pairs well with fresh cracked crab & oysters on the half shell. Enjoy now over the next 2 years.